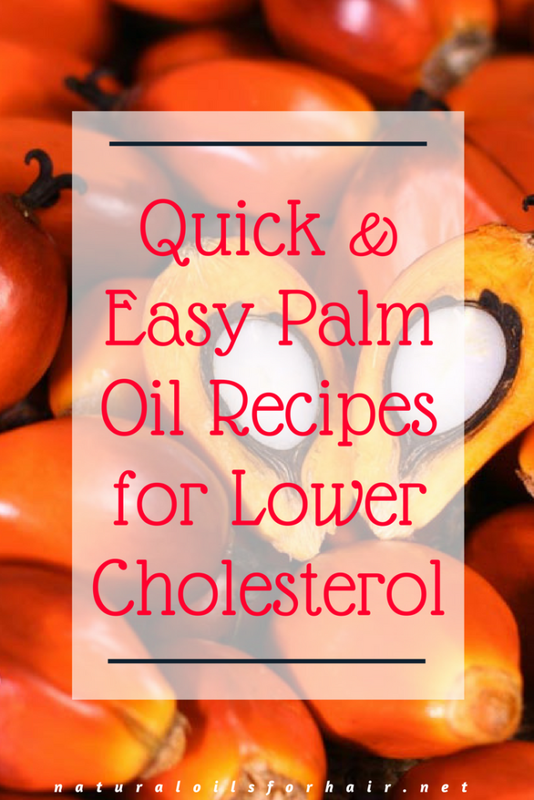 In this article, I’ll be covering 5 quick and easy recipes you can make with red palm oil. These recipes can be incorporated quickly into your diet and are not much of a hassle to make. A godsend for lazy cooks like me. 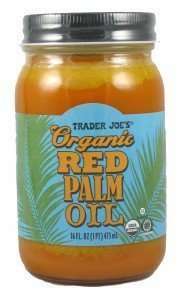 Whisk the red palm oil for up to 5 mins. Add the red wine vinegar, thyme and parsley and mustard. Whisk some more until well blended. Sprinkle with paprika and black pepper and taste. Add sea salt as needed. Drizzle over grilled vegetables or salad. Drain the chickpeas then boil for 5 – 7 mins. Drain out the water and pour the chickpeas into a blender, add the chopped garlic and olive oil with a bit of water. Blend for a few minutes. Add the red palm oil and lemon and blend until smooth. Check the texture and add a bit of water or olive oil if necessary. Pour into a bowl and sprinkle the paprika over the hummus followed by enough olive oil to cover the top of the hummus. Enjoy with bread, crackers, and crudités. For a twist, you can add some quinoa to the mix but it’s not necessary. Heat up the red palm oil slightly then add the garlic and onions and fry until transparent. Add the agave nectar and apple cider vinegar and fry some more. Add the ketchup, ginger, cinnamon, paprika and hot sauce. Set aside to cool then blend. To marinate, line chicken or beef in a plastic bowl and cover with the marinade for 4 hours to overnight. Slice the yams into cubes, rinse and leave in a bowl of lukewarm water for about 15 minutes. Heat the red palm oil up in the meantime. Drain the water out of the yams then sprinkle with the sea salt and toss around for a few minutes. Start frying the yams until golden brown and drain in a colander like this one. Sprinkle with the ground pepper and serve while hot. You can also sprinkle with some paprika if you like. If you don’t want to fry, you can bake the yams by spreading the palm oil on a baking sheet. Line with the yams and bake for up to 10 mins. Serve while hot. Precooked fish, meat or chicken. You can also use shrimps or some other type of protein. 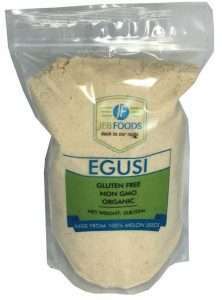 Here’s a quick video from 9ja Foodie demonstrating how to make egusi soup. This dish is so delicious and nutritious. You can eat it alone, which is what I do or with fried yams or brown rice. You can find ground melon seeds in international grocery stores. Amazon also has a great brand – JEB Foods Ground Melon Seeds. I’ve heard you can use ground pumpkin seeds as well but I’ve never tried it. 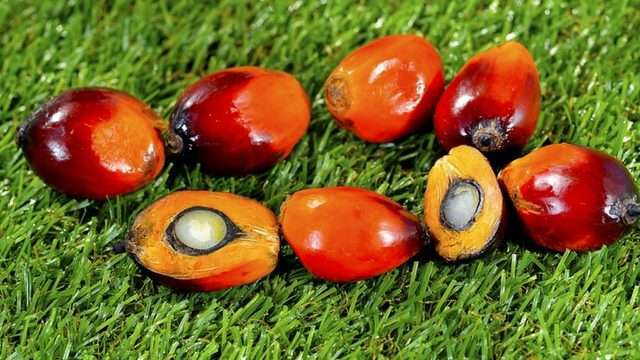 There are many other red palm oil recipes out there and you can also experiment at home by replacing red palm oil in some of the dishes you would normally use other oils like coconut oil or olive oil for. 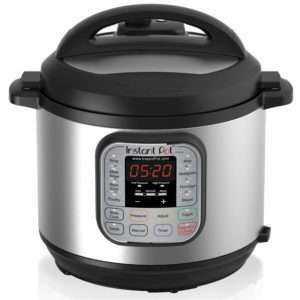 If you’re a lazy cook, I highly encourage you to try the Instant Pot. It’s a fast, easy and healthy way to try out a lot of recipes and save a lot of time. 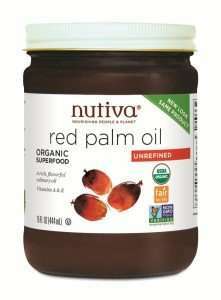 Do you have your own red palm oil recipes? Share in the comments section. Let’s stay healthy together!